We endeavour to take you to places that represent the very essence of India and to provide you with experiences that will remain embedded in your memory for life. All of our itineraries have been thought to captivate all the essences of traveling and not just make you taking great pictures but make you learn lots of information about your dream destination. From snow covered mountains to earthy south, from ravishing east to flamboyant west covering all the destinations within your reach of pockets. Perfect holiday at your suite that's our aim. We believe in achieving incredible tours to astounding places to make your trip as wonderful memory under the cost effective prices that give you smile every time you explore. 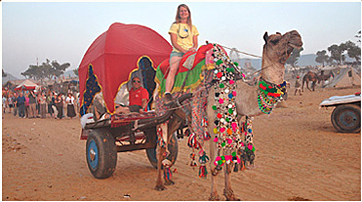 Providing you a world of different choices of your dream budget holiday in India. Discover the most unhindered and exciting places with varied culture and tradition mixing under one action of secular unity. We invite you to most diverse country both geographically as well as in its history. Enhance yourself in rich colorful India which reflects its distinctive habits, food, festivals and customs. Welcome to country which has beautiful aura, people with spirit of tolerance compassion and country of fabulous glory of ethics and beliefs. We are devoted to help you make the pacification for your travel, from programs extension, tours combination to planning special tours for your personal interest. We take care of specific details including a special attention for the security. It’s mean that we use the best guides and adequate vehicles. If you would like extra services with any of our packages or if you have ideas for your own dream trip in India just send us an email explaining to what kind of experience you are looking for.